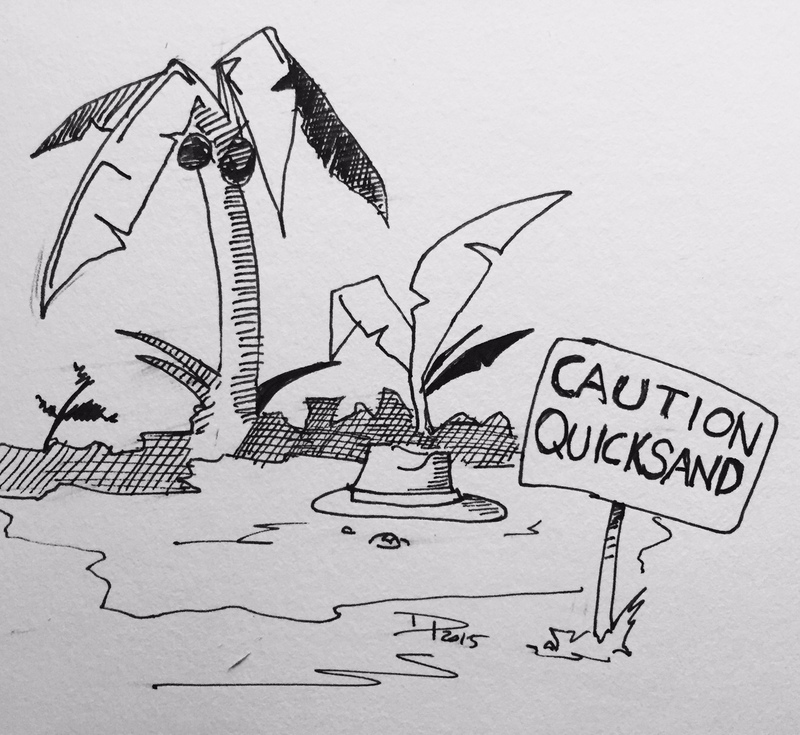 Growing up partially raised by a television set, and partially raised by our mom gave us a healthy respect and caution for things that were always trying to get us, almost always “by the ankles.” The short list included perverts, under-toads, quicksand, and our parents. Perverts: Perverts were everywhere, according to our mother. They still are everywhere, if you ask her now. She never really elaborated to us what constituted a pervert, though it was clear she’d met more than her share because she was particularly adept to spotting them. For a while I was convinced that “pervert” was slang for any guy over seventeen who was doing something by himself within 100 of MILK or mom. 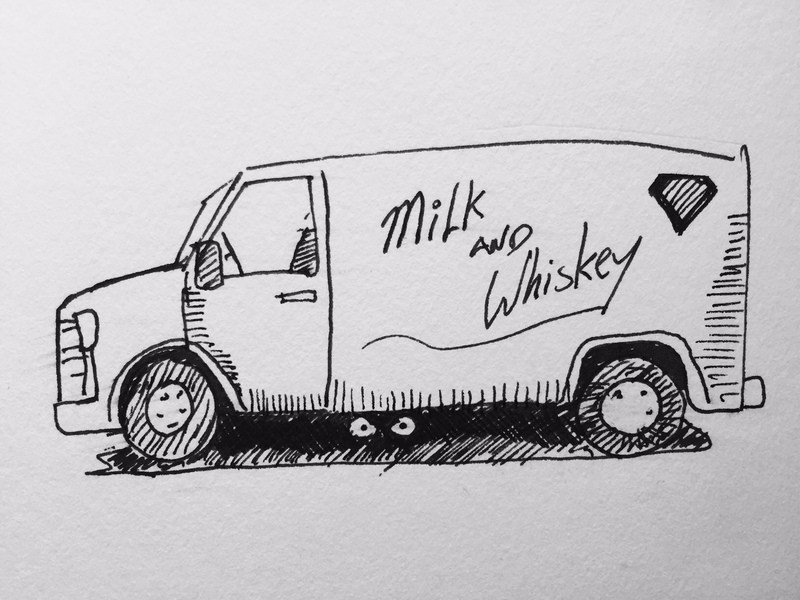 Vans, she taught us, were the favored vehicle of perverts, and almost every van has someone laying underneath it that wants to grab your ankles, stab you with a syringe full of sleepy-time and drag you back to their lair. Eventually, you would wind up in a ditch by the side of the road. In mom’s mind, ditches by the side of the road must be absolutely littered with bodies. To this day I don’t like parking or walking by vans. The Under-Toad: It’s a miracle I’m still alive, since I surf. 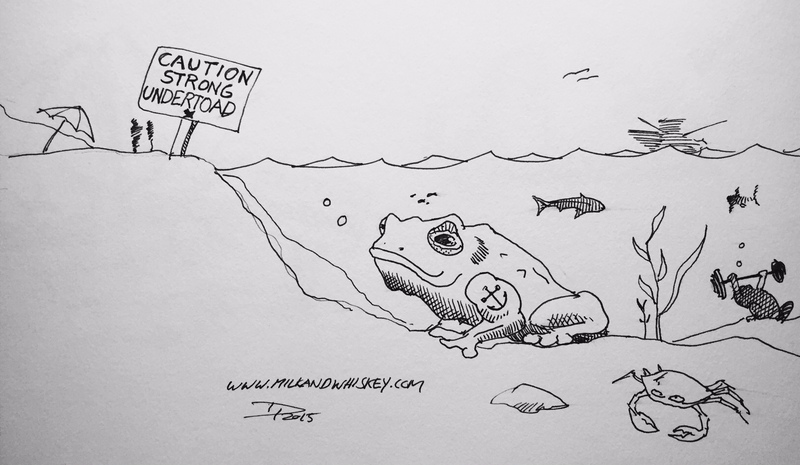 We spent a lot of summers on the beach, and each visit was preceded by a dire warning about the dangerous under-toad. According to our mother, there are creatures called under toads that live in sea water right by where the waves break. Many a careless beach goer had been lost when they frolicked too deep into the shore break and the under-toads grabbed their ankles and drowned them. I’m guessing this was easier to explain than the more common undertow…or just more entertaining. My kids now fear the toads. All Glory to the Hypno Undertoad. Futurama. Someone got the drawing joke. Yay! Our land borders a nature preserve. Mostly it’s a blessing – then comes deer hunting season. This year, the men-in-orange who squish through the sedge in search of something to shoot at may find orange hats floating on the mud.